At Prodisplays we understand that one of your most valuable assets is displaying your company’s image and message. Graphics are a key element in delivering your marketing message to your customers and can be the heart and soul to any display booth. 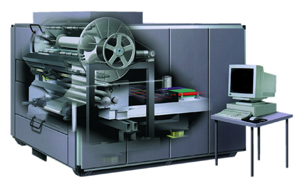 Prodisplays offers a wide range of graphic production in both small and large formats. Whatever your needs, we are confident we can deliver your graphic needs for your project! While the majority of our work is done in portable graphics for trade shows, conferences and special events, we also have the ability to do almost any type of indoor/outdoor graphic applications from small and simple detachable graphics to large and complex installed graphics. You can use our design team or provide print ready art per our requirements. When the show will still go on and time is of the essence Prodisplays will work for you to get your graphics to the show on time. While we prefer 4-7 working days on most jobs, we understand there are times when rush jobs are needed. We offer services with NO rush charges! Choose from our various print options below. We are able to provide you with just about any type of graphic for any application. Highest quality flexible graphics available. 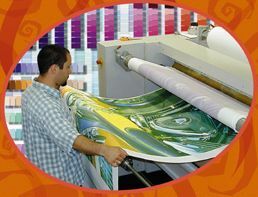 Prints are HDL laminated & carry a lifetime guarantee against delamination. Full color fabric graphics with permanent image. Washable and durable. Perfect for all exhibit applications. Incredible image quality and vibrant color. Many fabrics available.